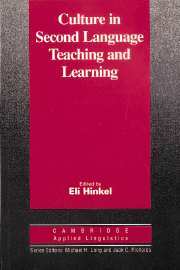 Eli Hinkel has taught ESL and applied linguistics, as well as trained teachers, for over thirty years and has published numerous books and articles on learning second culture, and second language grammar, writing, and pragmatics in such journals as TESOL Quarterly, Applied Linguistics, Journal of Pragmatics, and Applied Language Learning. She is also the editor of the Routledge ESL & Applied Linguistics Professional Series of books and textbooks for teachers and graduate students. August 2018: Added Teaching Strategies and Techniques: Collocations and Multiword Units in the Downloads section. August 2018: Updated Publications and Presentations. May 2018: Updated and enhanced the University Word List Flashcard app. It nows runs in the browser without the Flash player. It remembers your selected words and saved words between uses. And you can print a list of the words you are currently studying. Also enhanced the navigation of the Tenses presentation so that you can choose what verb tense you want to go to at any given point.